Jorge Isaías Guerrero was born in Mexico City in 1956 and studied Architecture at the Metropolitan Autonomous University (UAM), graduating in 1984. Jorge has worked with Sordo Madaleno Arquitectos for more than 30 years and is a key part of this extended family. His unfading passion for design, commitment, and loyalty to the firm have led him to become an excellent Project Leader. His excellent taste is reflected in the design of each detail of his projects. His work in the field of architecture began in 1982, and with over 36 years of professional experience, he has been involved in projects for homes, residential complexes, office buildings, schools, malls, theaters, banks, churches, hotels and mixed-use developments. In 1988 he was invited to join the firm led by Javier Sordo Madaleno. Since that time he has acted as Project Leader, managing his own team on a range of projects. Jorge has been in charge of major projects for Sordo Madaleno Arquitectos, notably the first and second phases of the mixed-use Antara complex, the first phase and current development of the Plaza Moliere Dos 22, the Church of Santa Fe, Residencial Artesia on Campos Elíseos, the Westin Regina Hotel in Puerto Vallarta and the Parque Toreo mixed-use complex. From his earliest days in 1985 as a junior architect in the office of Ricardo Legorreta, he swiftly demonstrated his skill with designing and coordinating large-scale projects. This furnished him with the opportunity to be involved in projects such as West Lake, Club Med in Huatulco and the Banamex Financial Center in the State of Mexico. In 1986 he became an associate of the firm Arquitectos Asociados, headed up by the architects Jorge Tarriba Rodil and Jorge Tarriba de Cáceres, working on projects of different kinds. 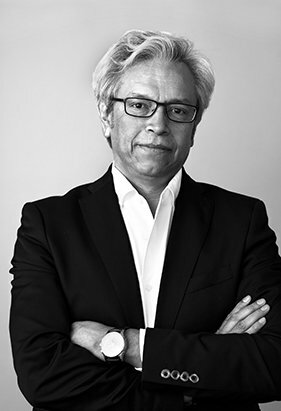 In 1987 he was invited to work with the firm HB Facto with the architect Carlos Hernández Brito, where he focused on designing hotels for Cancun and other commercial commissions.